How Much Does it Cost for Hair Extensions? If you’ve not had hair extensions before, you may be thinking that the process is going to break your bank. The good news? Not necessarily. Most ladies come with a preconceived idea that hair extensions are either particularly cheap and they therefore look fake, or, that they are very expensive and cost thousands. Sure, the ones you see Kim Kardashian wearing likely run in to the quadruple thousands of dollars a time. But the good news is, there is an area for middle ground with hair extensions and pricing. In other words, you can have affordable hair extensions that not only look really great, but also last. And we are not referring to those temporary clip-in types either. We are talking about the sort of hair extensions that you can wear in a ponytail, you can have blown out, and you can do a workout in. in other words, they appear perfectly natural. Hair extensions can be life changing since they may add length, volume, and provide much fuller hair instantaneously. Most ladies wish to try hair extensions, at least the one time, and some women simply can’t live without them. You might have fine or short hair, but you really want long, full hair. But how much is that going to be? The price of hair extensions will vary depending on the method used for installation, the quality of the hair, and where the extensions are applied. Now, considering the cost of hair extensions, one thing you must determine is the type of hair that you want. Different types of hair work best in terms of budget and appearance. Synthetic: Cheap, fake hair. Low-priced. Non-Remy: Cheap, often low quality hair, and may be from the hairdresser’s floor. Low-priced. Remy Human Hair: Remy human hair, which is of medium quality. Low- to mid-priced. Remy Human Hair, with Cuticle Intact: this is the highest quality of Remy human hair. Mid-price range. Virgin Cuticle Hair: this is the highest quality of hair that’s available. High-price range. It’s worth noting that the higher quality of hair – from Remy human hair with cuticle intact up to virgin cuticle hair – is an investment. This will normally pay off, given that the hair lasts far longer than cheaper formats. The synthetic types are low quality and really, this is not to be recommended. The best quality of hair is human hair, such as Indian hair, and if you can afford it, always opt for that. With respect to human hair, there are a variety of grades. You will find that quality Remy human hair together with the cuticle intact is very high-grade. This will start at a few hundred dollars and move rapidly upward. This type of hair extension will generally last for around a year, and perhaps a bit longer. Non-Remy hair is more affordable, but it will not last nearly as long. The highest grade available is that of virgin hair which will last for 2-3 years, providing that it is maintained correctly. The prices vary, but for virgin hair in general, you’d be looking at a starting price of high-hundreds and moving swiftly into the thousands. Keep in mind that the hair you are buying may seem cheap. There are two potential reasons for this – the grade is very low-end, and/ or, you’re only buying a small amount. You should calculate the price based on weight, and not merely quality. Once you’ve made your decision about the quality and the price with respect to your hair extensions, you then need to think about the method – DIY temporary job or semi-permanent solution? Going for the DIY job will cost $0 in terms of application. For something longer-term, you’ll likely spend anything between $200 and $2000 at a salon, and that’s just for the application. Then, there’s the price of maintenance on top of this, which will be necessary every 2-3 months. For obvious reasons, it’s important to understand how regularly you will need to return to the salon for upkeep and maintenance. 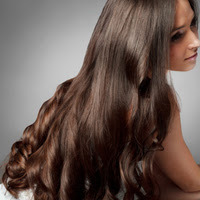 It all factors into the overall price tag for hair extensions.